How The Bixby Voice First Approach Is Different. 1. Completeness- When an application becomes Bixby-enabled, Bixby will be able to support almost every task that the application is capable of performing using the conventional interface (ie. touch commands). Most existing Voice First systems currently support only a few selected tasks for an application and therefore confuse users about what works or what doesn’t work by voice command. The completeness property of Bixby will simplify user education on the capability of the system, making it much more predictable. 2. Context Awareness- When using a Bixby-enabled application, users will be able to call upon Bixby at any time and it will understand the current context and state of the application and will allow users to carry out the current work-in-progress continuously. Bixby will allow users to weave various modes of interactions including touch or voice at any context of the application, whichever they feel is most comfortable and intuitive. 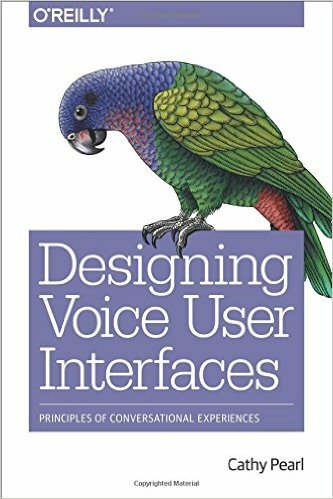 Most Voice First systems completely dictate the interaction modality and, when switching among the modes, may either start the entire task over again, losing all the work in progress, or simply not understand the user’s intention. 3. Cognitive Tolerance- When the number of supported voice commands gets larger, most users are cognitively challenged to remember the exact form of the voice commands. Most Voice First systems require users to state the exact commands in a set of fixed forms. Bixby will understand commands with incomplete information and execute the commanded task to the best of its knowledge, and then will prompt users to provide more information and take the execution of the task in piecemeal. This makes the interface much more natural and intuitive. All 3 points are rather important aspects of the next 2 generations of Voice First systems. The ability to understand the contextual state and the place a user is in an app is extremely important. This deep linking and continuity will add a powerful layer to many app experiences. The Cognitive tolerance is quite important as generation 1 systems like Alexa and Siri require strict invocations to activate apps and services. Just these 3 points make Bixby a step or 2 levels ahead of just about everything in the market. It is important to note that new Siri will also feature some of these abilities and is likely to show the first elements by the WWDC this summer. Apple’s approach will differ to some degree, however they will create a similar environment. The dedicated Bixby button will be located on the side of most Samsung devices. This limits the confusion around activating the system. The Bixby SDK will be released soon to enable third-party developers to make their applications. Bixby will ultimately be available in just about all Samsung appliances. In the future you will be able to control your air conditioner or TV through Bixby. Bixby will be implemented in the cloud, as long as a device has an internet connection and simple circuitry to receive voice inputs, it will be able to connect with Bixby. User interface designers make trade off decisions to cram as many functions into a small screen as possible or to bury them in deep in layers of menu trees. This usually creates learning curves. Samsung sees Bixby as a way to present any element to any of their devices to a Voice First, single step. We can see some elements of the Viv acquisition in Bixby, however at this point Bixby is not really a true version of Viv as it was before the company was acquired. We can assume some if not all of Viv’s unique elements may make it to Bixby. Viv may also become an additional stand alone platform also. Time will tell. Bixby will make its first debut on the next Samsung smartphones and tablets released later this month. ← Google Injected An Ad In To Google Home And All Hell Broke Lose.